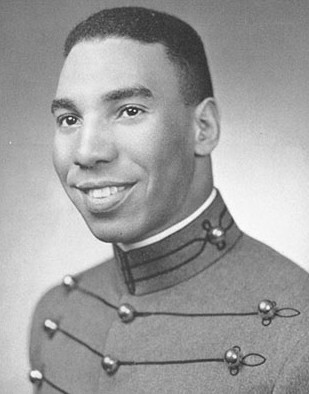 Roscoe Robinson, Jr., the first African American four-star general in the U.S. Army, was born in St. Louis, Missouri in 1928. He received a bachelor’s in military engineering from The United States Military Academy (West Point) in 1951 and later attended the U.S. Army Command and General Staff College. He also received a master’s in international affairs from the University of Pittsburgh (Pennsylvania) in 1964. As a young lieutenant Robinson was awarded the Bronze Star for outstanding valor in the heated battle for Pork Chop Hill during the Korean War. In the late 1950s he was selected to be a member of the staff of the U.S. military mission to Liberia. In 1968, Lieutenant Colonel Robinson commanded the Second Battalion, Seventh Cavalry, First Air Cavalry Division in Vietnam. During that period he led a joint forces incursion into neighboring Cambodia. The operation was a huge success as the Second Battalion attacked the Communist military headquarters in an area called Fishhook which was home to numerous enemy bases. That same year he led the Seventh Cavalry in another attack in the same area which caused massive losses to the North Vietnamese. For his heroic service in Vietnam, Robinson received the Silver Star. In 1969, Robinson attended the National War College and then served as the executive to the chief of staff, United States Pacific Command, Hawaii. In 1975, he was promoted to general in Okinawa and became the commanding general of the U.S. Army Garrison, Okinawa. He served as commander of the Eighty-second Airborne Division, Fort Bragg, North Carolina and later commanded the U.S. Army Japan IX Corps. In 1982, he became only the second black military officer to be promoted to four-star general (Daniel “Chappie” James in the U.S. Air Force was the first) and the first to do so in the U.S. Army. He last served in the Army as the U.S. representative to the NATO Military Committee and then retired in 1985 after thirty-one years of military service. After the military, Robinson served on various corporate boards such as Northwest Airlines and the McDonnell-Douglas Corporation. He also helped develop the minority studies program at West Point. In May 1993 he received the Distinguished Graduate Award from the West Point Association of Graduates. Seven years later a West Point Auditorium was named in his honor. His wife Mildred, their son Bruce, and daughter Carol were by his side when he died of leukemia in July 1993. General Roscoe Robinson, Jr., was buried in the Arlington National Cemetery.